Big Local is a ten-year programme that will achieve lasting change in 150 areas around England. It provides a mixture of funding, finance and support. This will enable local people to build on local talents and aspirations and identify and act on their own needs to make their areas better places to live, now and in the future. Who is running Big Local? The Community Development Foundation (CDF) is a national organisation that is leading a consortium to set up a new independent organisation to run Big Local. While that is happening, CDF with its partners will be delivering the first stages of Big Local. How much money is available through Big Local and how can local areas use it? At least £1 million is available to each area. The money is available through the Big Local Trust, a new independent charitable trust that the Big Lottery Fund will endow with £200 million. Big Local is not just a grants programme, local areas can also use the funds to make social investments such as personal loans, micro finance, small business and civil society loans or the commissioning of services. This means that some of the money distributed in each area can come back to Big Local and be reused in the local area again. 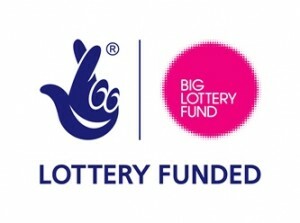 The Big Lottery and its trustees will not begin to release any part of the fund until at least May 2012, apart from the initial sum they have made available for the Allenton Big Local Partnership group to carry out research and promotional work. The Big Local trust will look after the money for all the areas, but local people will decide how it is spent. Can I or my group put a bid in to the Big Local Fund for Allenton? Bids from groups for funding may be one of the ways that the funding is used. The way it is given out will be decided by the management group for the fund. The management group for the fund will involve local people and will eventually take over from the current Allenton Big Local Partnership. What will the money actually be spent on? This is what the partnership group is working on at the moment and they need more information from local people to tell them what they think would make Allenton a better place to live. We are holding a number of events and sending information to homes and businesses in the area to get views. The Big Lottery says that it cannot replace statutory funding and it must create a legacy for Allenton which means it has to have some lasting effects. How was the present steering group established and who’s on it? The members of the steering group were requested by the Big Lottery to be those organisations and individuals who were “regularly involved in and had knowledge of” life in Allenton. The full list of members is on the partnership page. The group has also invited in representatives from other services to tap into their specialist knowledge, for example: health services. The final management group will have at least 51% residents so that it is led by local people with representation from agencies and groups. The group may change its members over the life of the programme. What will Big Local look like in local areas? Local communities will drive Big Local in their area. The programme will support, challenge, train and encourage people to develop and take ownership of Big Local in their area. There will be a unique programme of activity in each area based on local needs but sharing the Big Local outcomes. Big Local will support communities to identify issues, plan and develop solutions. This will provide a sustainable approach to long-term issues and ultimately create better places to live.